Anne is growing up and leaving the Island to spend four years of her life at Redmond College. She meets a wonderful new friend in Philippa Gordon, offspring to an old and exclusive "bluenose" family. Phil's family ties, combined with her beauty and charm, open the gates of all the social cliques and clubs at Redmond. And where Phil went, Anne went. Thus, Anne found her social pathway at Redmond made very easy while other freshettes were doomed to remain on the fringe of things. 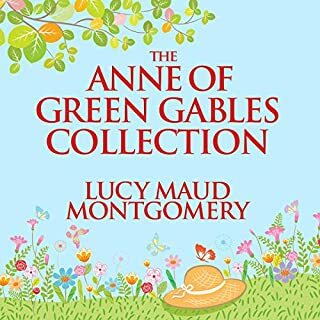 Anne Shirley has left Redmond College behind to begin a new job and a new chapter of her life away from Green Gables. Now she faces a new challenge: the Pringles. They're known as the royal family of Summerside - and they quickly let Anne know she is not the person they had wanted as principal of Summerside High School. 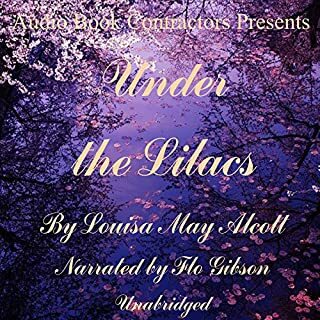 But as she settles into the cozy tower room at Windy Poplars, Anne finds she has great allies in the widows Aunt Kate and Aunt Chatty - and in their irrepressible housekeeper, Rebecca Dew. New adventures lie ahead as Anne Shirley packs her bags, waves good-bye to childhood, and heads for Redmond College. 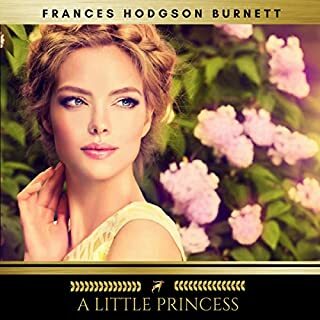 With old friend Prissy Grant waiting in the bustling city of Kingsport and frivolous new pal Philippa Gordon at her side, Anne tucks her memories of rural Avonlea away and discovers life on her own terms, filled with surprises...including a marriage proposal from the worst fellow imaginable. 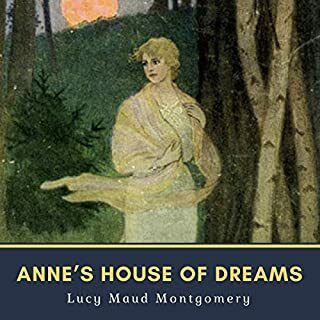 Anne's House of Dreams is a novel by Canadian author Lucy Maud Montgomery. 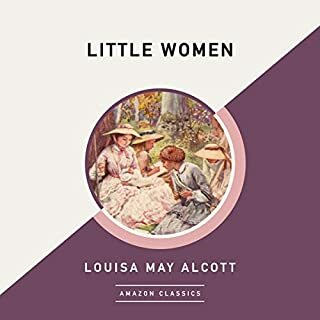 It was first published in 1917 by McClelland, Goodchild and Stewart. 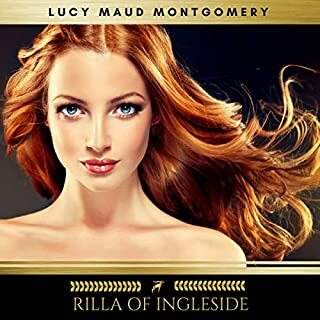 The novel is from a series of books written primarily for girls and young women, about a young girl named Anne Shirley. The books follow the course of Anne's life. It is set principally on Canada's Prince Edward Island, Montgomery's birthplace and home for much of her life. From the beloved author of Anne of Green Gables, L.M. 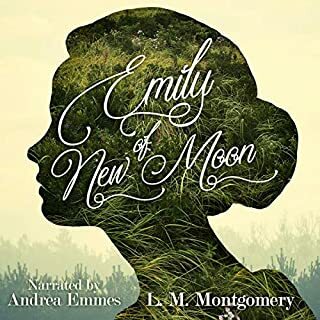 Montgomery - Emily of New Moon (published in 1923) takes us on a journey of loss, friendship, bullying, family dynamics, acceptance, and self-discovery with Emily Byrd Starr, an orphan who must move in with her reluctant Aunt Elizabeth, her loving Aunt Laura, and her jovial and friendly Cousin Jimmy at New Moon on Prince Edward Island. 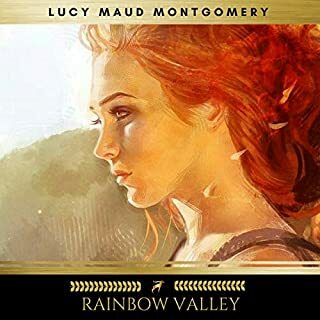 Rainbow Valley (1919) is the seventh audiobook in the chronology of the Anne of Green Gables series by Lucy Maud Montgomery, although it was the fifth book published. 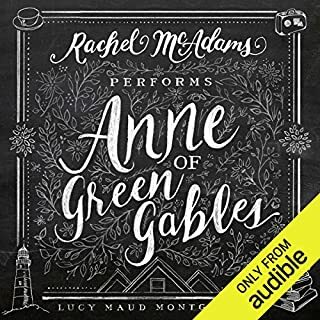 In this audiobook, Anne Shirley is married with six children, but the audiobook focuses more on her new neighbor, the new Presbyterian minister John Meredith, as well as the interactions between Anne's and John Meredith's children. It seemed only yesterday that the skinny, freckled redhead had first come to Prince Edward Island. 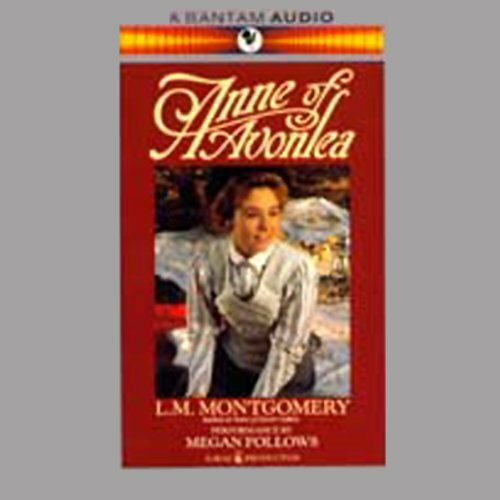 Now here was Anne, a pretty sixteen, teaching at the Avonlea school and all grown up. Well, not quite grown up. In fact, Anne was not very different from her restless young pupils, their rows of bright, inquisitive eyes staring at her that first day of class. Anne was as mischievous and high-spirited as ever. 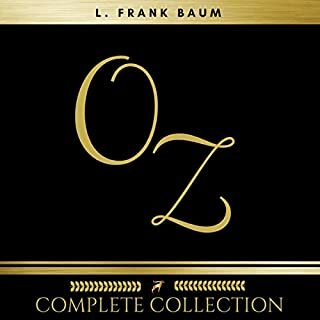 ©1989 David and Ruth MacDonald and Bantam Audio Publishing (P)1989 Bantam Audio Publishing, A Division of Random House, Inc. 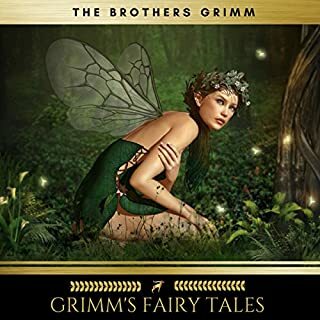 I love, love, love that this is narrated by Megan Follows. No voice but hers will ever be the Anne in my head. Sadly it is an abridged version, which I didn't realize before I purchased. I wish Megan Follows would have narrated the full-length books. This is a great novel and a great narrator. 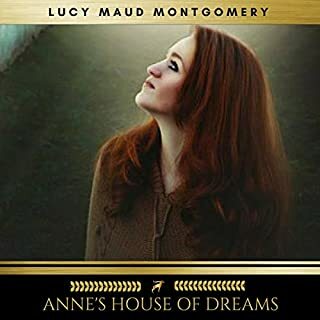 If you've seen the tv movie, "Anne of Green Gables" you'll recongize the voice of Anne. However, the quality of the recording is very poor. You do get used to it, but it is distracting. The story is timeless, and Megan Follows is the only AnnE! You simply can't go wrong with this version. What is better than the real Anne reading the books?! Great performance, I wish she had read the entire series. 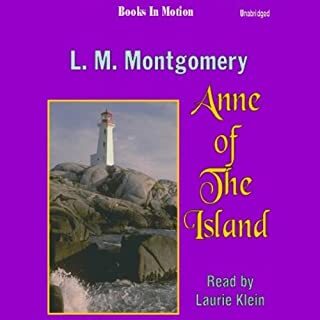 Would you try another book from L.M Montgomery and/or Megan Follows? 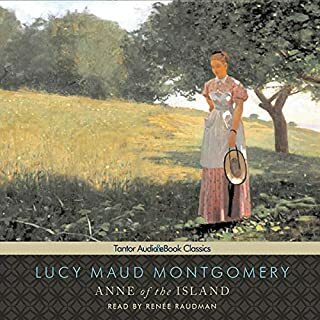 I love LM Montgomery and all her Anne novels. I have read them many times. This book is weirdly abridged. They leave out bits of detail here and there. It is really irritating, and it causes some gaps in the plot line. They also have odd music at random times that really detracts from the experience. IDK. Back to browsing what is available! It can be hard to tell which character she is reading at the time. There is very little difference in tone / intonation between different characters. No. Just read the original - it will be a much better experience. It isn't a long book. Abridging it was just ridiculous. 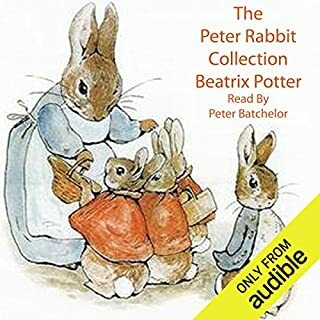 Audible needs to be make the note that the book is ABRIDGED more obvious. I never would have wasted my money on this book if I had seen that. Never read the Anne of Green Gables series before, but LOVED the movies as a child. The books are, of course, even better! The narrator could have used a little more variety in her voices to help communicate who was speaking, but she was pleasant to listen to. Of course LM Montgomery is a gifted author! And Anne is a delightful character! My daughter, age 8, and I enjoyed our car trip so much as we listened. The audio quality was kind of grainy. There was also music overlayed at crucial parts of the story which made it difficult to hear what the reader was saying. 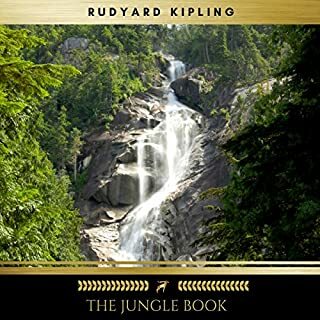 The book itself was wonderful and I feel bad leaving such a bad review for such a good book. 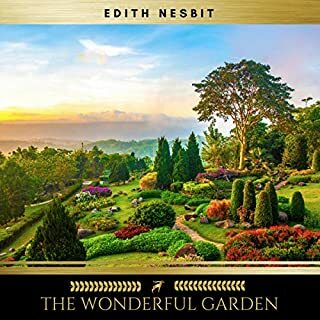 Although this is an abridged version, all the best parts of this book are included and narrated perfectly by Megan Follows. If you love the Anne-girl, or are a kindred spirit then you must listen to this version. I love this story and that Megan Follows was the narrator. Truly a classic and one of pure love.